BOSTON—Harvard Business School (HBS) has named its 2014-2015 Blavatnik Fellows in Life Science Entrepreneurship. These fellows, five outstanding HBS alumni who graduated from the School no more than seven years ago, will work with inventors from Harvard University’s research laboratories to promote the commercialization of innovative life science-oriented technologies. The Blavatnik Fellowship Program, which admits three to seven exceptional individuals each year through a competitive application process, was created in 2013 as part of a $50 million gift to Harvard University from the Blavatnik Family Foundation, headed by Len Blavatnik (MBA 1989). The Fellowship was the launch of a major initiative to expedite new ventures via the Blavatnik Biomedical Accelerator, which identifies and supports early-stage, highly promising technologies from Harvard University. Blavatnik Fellows receive a $95,000 stipend for a twelve-month period, as well as additional funding for activities necessary for early enterprise formation. The Fellows work closely with inventors through Harvard University and Harvard University’s Office of Technology Development to determine the best route for the commercialization of a product. Alexandra Dickson (MBA 2013), who has a background in life sciences strategy and analytics, began her career at Health Advances, a healthcare strategy consulting firm. While there, she worked with clients from the medical device, diagnostic, and therapeutic areas to inform commercial decisions. During her time at HBS, Dickson performed disease assessments to shape the strategy for the cellular therapy division of Celgene, a biopharmaceutical company. Most recently, she worked in Biogen Idec’s business insights and analytics group to build the analytic infrastructure to support and monitor the launch of the company’s hemophilia franchise. Dickson holds a bachelor’s degree in human evolutionary biology from Harvard College. Christoph Jaeker (MBA 2011), a biochemist with extensive experience in life sciences management, most recently worked in business development for the biopharmaceutical company Nimbus Discovery, which uses computational chemistry to develop therapies against difficult-to-drug targets. He was also an integral team member for signing two major research collaborations with Monsanto and the pharmaceutical company Shire and served as the commercial lead for one of Nimbus’s preclinical programs. Before Nimbus, he worked in the European healthcare practice of the consultancy Booz & Company, where he advised leading global pharmaceutical companies regarding R&D. He holds a BSc in biochemistry from the Technical University of Munich. 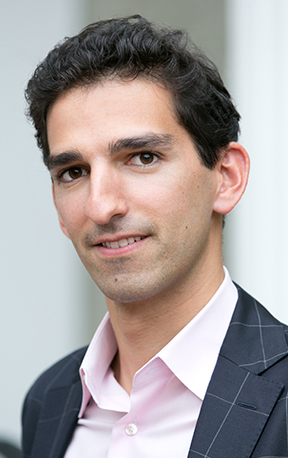 Louis Levy (MBA 2014) began his career with Cepton, a strategy consulting boutique for French mid-size biotechs, where he worked on pharmaceutical development, European commercial launches, and R&D organizations. He was involved in operationalizing notable licensing transactions in allergy immunotherapy (Stallergenes-Shionogi) and hemophilia (Ipsen-Inspiration Biopharm). As an entrepreneur, he cofounded and launched a web service to reserve a table, order, and pre-pay for meals at restaurants in France. He is a graduate of the French grande ecole Telecom Bretagne, with a master’s degree in engineering. Sid Misra (MBA 2013) cofounded two companies in the telecommunications and internet sectors, where he led technology development, marketing, and strategy efforts. He also worked as a venture investor at Khosla Ventures and at Applied Ventures, the corporate venture capital arm of Applied Materials. Misra has worked at Harvard Business School for one year with Professor Joseph B. Lassiter, Faculty Chair, at the Harvard Innovation Lab, and Professor William A. Sahlman, Professor; Senior Associate Dean for External Relations. He has written six Harvard Business School cases on venture-backed companies in various industries. He holds degrees in Electrical Engineering and Economics from Columbia University. Meridith Unger (MBA 2010) previously worked with healthcare and technology startups, crafting and executing strategic plans to carry high-potential technologies from pre-inception through a venture’s first round of funding. She has worked closely with and for several venture capital firms and the Technology Development Fund, an academic venture fund at Boston Children’s Hospital. She was also the cofounder and CEO of Aukera Therapeutics, which won the Life Sciences Track and the Audience Choice Award in the 2010 MIT $100K competition, and she was a finalist for MassChallenge in their inaugural session in 2010. Previously, Unger was a managing consultant with Boston Healthcare Associates and a Senior Associate with Silicon Valley Bank’s Life Sciences and Venture Capital Lending Group. She received her bachelor’s degree from Bryn Mawr College. The Blavatnik Fellows Program is directed by Vicki Sato, PhD, former president of Vertex Pharmaceuticals and now professor of management practice at Harvard Business School. Based in the Harvard University Innovation Lab (i-lab), a center of entrepreneurial activity from across the University, Blavatnik Fellows will have opportunities to become part of the HBS and University communities. Formal and informal components of the program will provide education and interaction in a wide variety of areas, including strategy, R&D management, intellectual property, regulatory affairs, business development, and entrepreneurial financing. Fellows will be encouraged to complete business plans and secure funding and where appropriate, to join and develop founding teams of new ventures. In addition, the Blavatnik Fellows have regular access to industry leaders in Boston’s business, biomedical, and life science communities who are willing to serve as mentors during their fellowship year.